The over-the-door-hook easily mounts over doors. Made with durable chrome-plated steel. Comes packaged on a tie card with hanging hole. 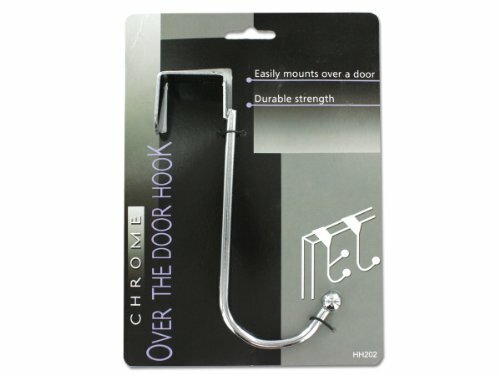 The hook over the door is 7/8" wide & hangs of the back of the door 1 3/8". Total length 6 1/2". Projects about 2 3/4" from the door.